Are you one of the millions of Americans that research shows are affected by the chronic pain disorder popularly known as fibromyalgia? Have the symptoms of your fibromyalgia become so severe they are affecting your ability to work? The good news is that you could possibly qualify for Social Security Disability (SSDI) benefits if you meet certain criteria. According to the American College of Rheumatology, fibromyalgia is a disorder that primarily causes widespread pain in the body but can also cause symptoms such as stiffness of joints, severe fatigue, slowing of mental faculties (known as “fibro fog”), digestive issues and migraines. There is no diagnostic test to determine if someone has fibromyalgia, but an experienced doctor, preferably a rheumatologist, can determine if a patient has fibromyalgia through careful evaluation of their symptoms and elimination of other similar illnesses. Determine if the claimant is working at or above the Substantial Gainful Activity (SGA) level as defined by the SSA in the year they file. For 2017, a claimant cannot earn more than $1170 a month from employment. 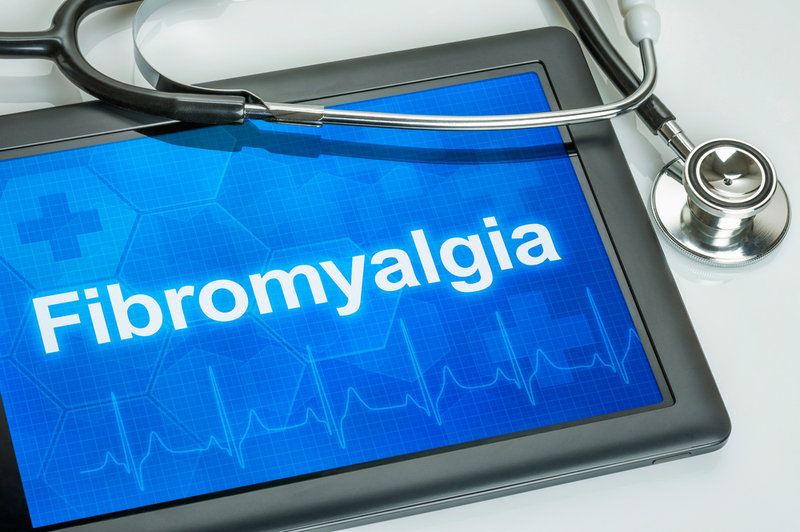 Determine if the effects of fibromyalgia significantly limit the claimant’s ability to perform basic work activities such as sitting or standing, reaching, pulling or pushing, lifting or carrying, and simple cognitive reasoning. Determine if claimant’s fibromyalgia meets the criteria to be considered a severe medically determinable impairment. This is determined through medical records that must show that the claimant has suffered from widespread chronic pain for at least three months and has undergone diagnostic testing that rules out other conditions as the cause of the pain. The medical records must also show that the claimant has tested positive for pain palpitation in at least 11 of the 18 tender point areas identified by the American College of Rheumatology or has repeatedly experienced 6 or more fibromyalgia symptoms. Determine if the claimant is still capable of doing any work they may have done in the past despite the issues of fibromyalgia. The SSA may have broadened their view of fibromyalgia in determining disability claims, but it is still one of the most difficult claims to get approved. Approval is dependent upon having the best documentation and evidence showing the severity of your fibromyalgia and how it affects your ability to work. Getting the help of an experienced Social Security Disability attorney to make your claim or fight against a rejected claim can make all the difference. An experienced attorney knows what documentation and evidence you need, will help you gather it, and will know the best way to present it to the SSA. If you have fibromyalgia and need help finding a disability claim, contact us today to see if one of our experienced attorneys can help you.